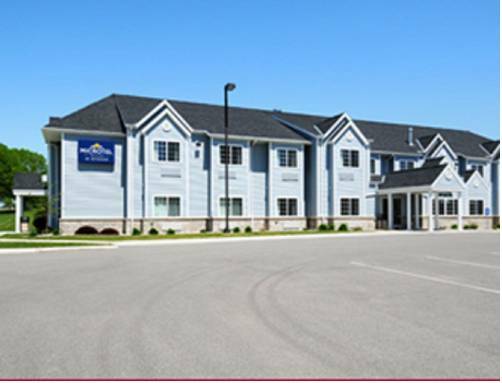 Enjoy a refreshing, comfortable stay at this Microtel Inn and Suites by Wyndham Springfield, located on Route 14, the historic Laura Ingalls Wilder Highway. This hotel is close to Springfield Golf Course, vineyards, restaurants and a water park, as well as ATV, hiking, ski-mobile and cross-country trails. Fuel up for your busy day with a complimentary continental breakfast, and use the complimentary wireless Internet to check email and the news. Refresh in the heated indoor pool or relax in the hot tub. For your convenience this hotel offers a business center, fax and copy service, meeting rooms, and complimentary long-distance calls. Modern guest rooms feature guest-controlled heating and cooling, and suites are available, ideal for longer stays.